Raiders! 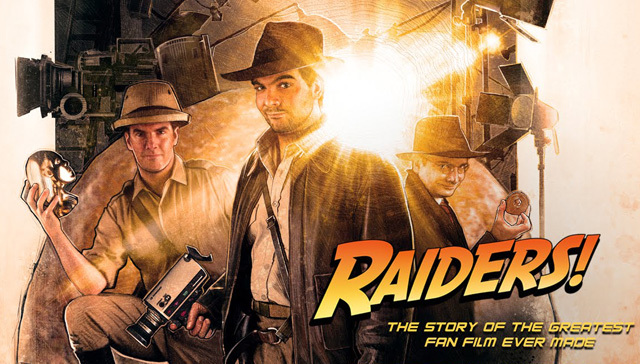 The Story of the Greatest Fan Film Ever Made Review | Warped Factor - Words in the Key of Geek. I suspect that all of as geeks, no matter what it is we are geeky about, have wanted to create something to express our passion for what it is we enjoy so much. For example, I spent much of my time in high school writing and trying to get to film a James Bond fan film adapting the original Ian Fleming novel of Moonraker. I never quite pulled it off but I'm not the only one who had a dream like that. 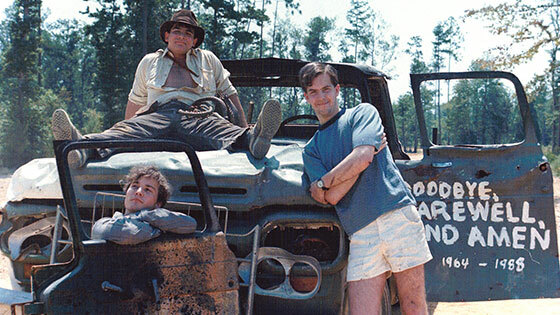 Back in 1980s Mississippi, a group of childhood friends decided to do a shot by shot remake of Steven Spielberg's Raiders Of The Lost Ark. 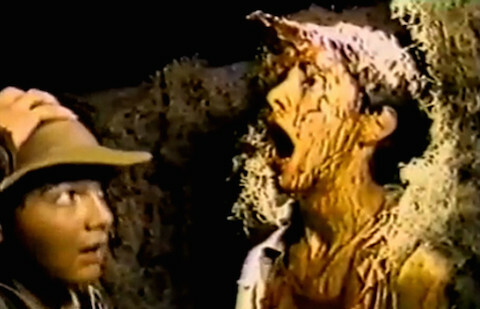 In doing so they would create a tale worthy of a Hollywood film and the subject of the documentary Raiders! : The Story of the Greatest Fan Film Ever Made released in 2015, now available on home video and streaming. The documentary essentially tells two different narratives. The obvious one has the makers documenting the production of “the Raiders tape” as it came to be known. They do so through footage from the finished adaptation, outtakes, and more recent interviews about how this fan film came to be made to begin with, and how it came to wider attention than it ever should have thanks to pirate video copies and eventually the internet. Watching these sections of the documentary makes for incredible viewing in its own right as we see a group of twelve year olds become young adults across the seven years it took to make and the lengths they went to to do so. How did a group of people so young pull off the truck chase and fight sequence? What about the burning bar sequence? The answers are here as told by those who were there, parents who watched it all go down, and by those who watched the film later and were amazed by what they saw, including John Rhys-Davies. Yet that's only half the story. The other narrative is one that is every bit as inspiring and takes place decades later. After a Kickstarter campaign, these now adult filmmakers get back together in the Mississippi town they made so much of it in to film the one scene they never shot: the fight sequence around the Nazi flying wing and the explosive conclusion to it. In trying to film this one sequence and more than a hundred shots, we're presented a story every bit as dramatic as anything they did decades before as weather and real life threaten to leave it unfinished. Watching the difficulties of film making, the lengths they have to go to, what is put on the line, and all in the need of finishing up a childhood dream, makes for some of the most engrossing viewing I've experienced in recent memory. Yet as much as it's about young filmmakers coming back to finish something they started three decades earlier, it's also a personal journey. You watch them grow up, you get to see them as adults talking about their experiences, their personal lives, and how the latter could often impact the making of the film. We hear about their struggles and falling out with one another in the years after their adaptation was finished. We also get to hear how their friendships were restored, how the film brought them back together, and with an ending that would be ludicrous in a Hollywood movie if it wasn't the truth. It proves, once again, that fact can be every bit as dramatic as any work of fiction. What makes this so watchable is that, in the final analysis, it's about a dream. It's about pursuing that dream in the face of adversity of naysayers and those who wonder why you would bother doing it to begin with. Raiders! : The Story of the Greatest Fan Film Ever Made is a film for every artist and dreamer out there and for anyone with even a spark of creativity in their soul. It's ninety-six solidly inspiring minutes, a love letter to fans, fan films, and anyone who has ever dreamed of doing anything big.